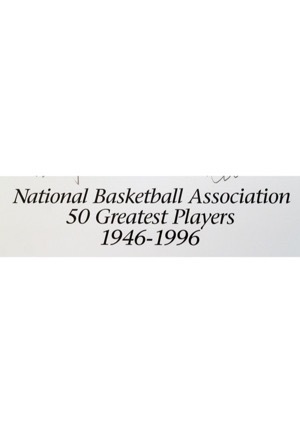 In 1996 the NBA celebrated its first 50 years by selecting the 50 greatest players in the league’s history. The players were selected by a panel of media, former players and coaches, current and former general managers and team executives. Commissioner David Stern announced the 50 Greatest Players at a press luncheon. 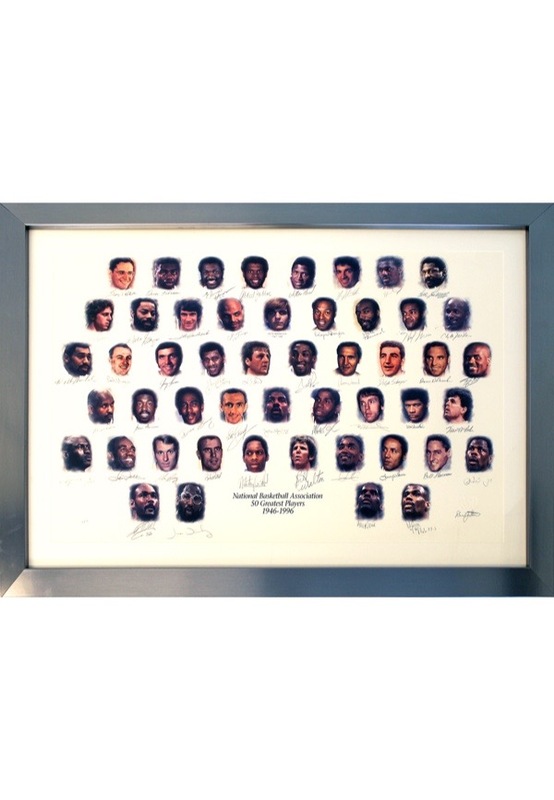 Each of the 50 players selected feature headshots on the lithograph. 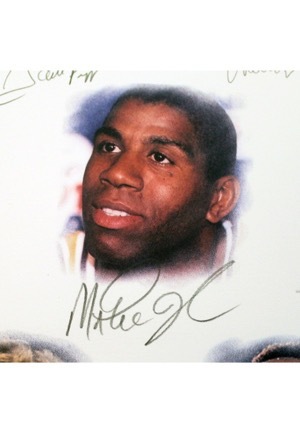 Each headshot is autographed in pencil by the appropriate player player except for “Pistol” Pete Maravich, who passed away in 1988. 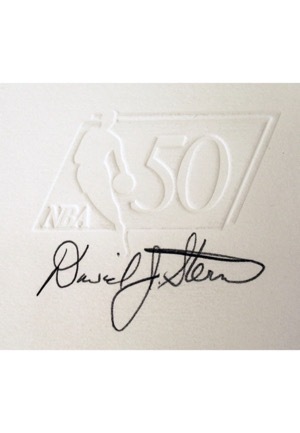 The 50th signature on each of the lithographs belongs to Commissioner David Stern on the bottom right side. 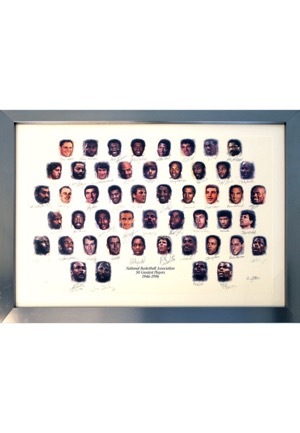 Beautifully matted and framed, the overall item measures 45½” wide by 32½” high. Four players have passed away since the honor was bestowed upon them. There is a slight ripple in the matting but overall does not affect the signatures. A rare piece honoring the best players in the history of the NBA. Accompanied by a LOA from JSA and a Field of Dreams LOA.